Hoover Fence Company offers temporary, semi-permanent, and permanent fence in all heights and for all fenced perimeters; smaller barricades, hallways, and point-to-point fences may also be constructed. Temporary fence designs vary from fixed panels and sections, posts and rolls, to semi-permanent installations with in-ground posts and water-filled barricades. Temporary fence materials are made of galvanized chain link fence, brightly-painted powder coated steel, to PVC, plastics, and even wood. The terms temp fence, temporary fence, portable fence, event fencing, portable barricades, pedestrian barriers, seasonal fence, and even some pet fencing refers more to the ease of moving it around than the longevity of the products. Many of the fence styles and fence systems may be installed as a permanent solution to contain, restrict, barricade, and/ or control traffic - vehicular or on foot. In fact, many of the same materials are used in temporary fence as permanent fence. 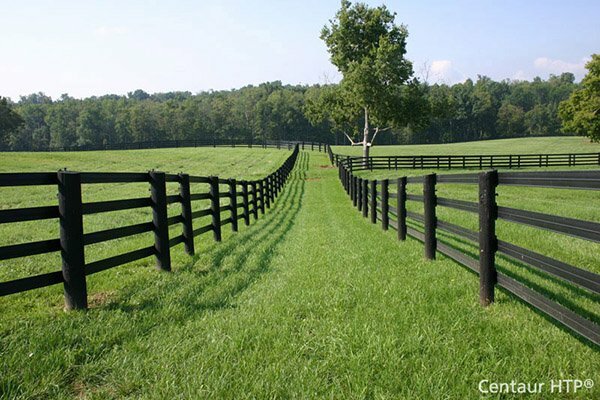 Some differences may simply be bases, or 'feet', to hold fence erect, instead of in-ground fence post holes and footers. When bases, 'feet', or lightweight materials are used to eliminate unnecessary weight, other anchors, posts, or weights sometimes need to be used such as specially fabricated fence panel bases, platforms, sandbags, or the panels themselves can sometimes be filled with water. The purposes of temporary fence usually include safety, security, controlling pedestrian and vehicular traffic, and crowd control at private and public events. Portable fencing is also popular for properties which have many shared purposes such as convention centers, public shopping malls, greenhouses, and parking lots. Many municipalities, schools, and communities rely on temporary fencing to provide sport and game fields with sideline fencing, homerun fences, and control areas of play. Fences can be moved, rearranged, stored inside out of season, and quickly deployed for a variety of purposes.